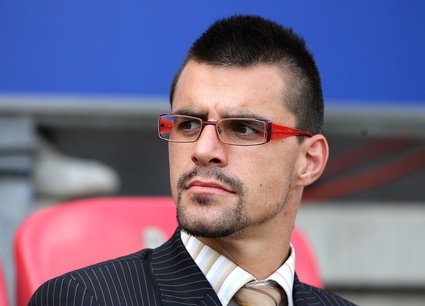 Aside from the fact that his head and/or hair is a very odd shape, the most striking thing about Wigan Athletic’s Paul Scharner prior to watching his side lose against Chelsea was his Elton John hand-me-down specs. He should have gone to [well known high street optician contact our advertising team to complete the sentence!]. Or at least not have gone to the JJB Stadium in them. His glasses look great. This writer is the one with questionable taste!